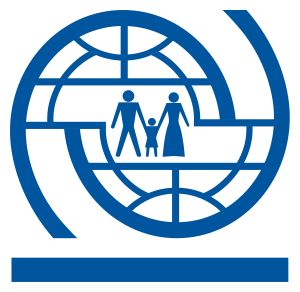 Established in 1951, IOM is a Related Organization of the United Nations, and as the leading UN agency in the field of migration and works closely with governmental, intergovernmental and non-governmental partners. IOM is dedicated to promoting humane and orderly migration for the benefit of all. It does so by providing services and advice to governments and migrants. To respond to the problem faced by ASEAN member states (AMS) in recognizing workers’ competences and skills, on 15 May 2016, ASEAN Labour Ministers Meeting (ALMM) in Vientiane, Lao PDR adopted the ASEAN Guiding Principles for Quality Assurance and Recognition of Competency Certification Systems (hereinafter Guiding Principles). This achievement was as a result of a number of processes initiated under a recently implemented project “The Development of Cross National Guidelines for HR Qualification and Skills Recognition among ASEAN Economies“, under the Working Group of Progressive Labour Practices to Enhance of Competitiveness of ASEAN ). From among the recommendations gathered during the project, a key one was that to ensure wider application of the Guiding Principles it would be necessary to conduct a pilot project on occupations or sectors in industry domains recognized in the AMS region. AMS need to agree on occupations or sectors to choose as pilot sectors to start the recognition process – the pilot project can be developed through trilateral approaches. The Guiding Principles will be piloted in 3 (three) ASEAN Member States (AMS), notably Indonesia, Malaysia and the Philippines. The result of the pilot project will be shared to other AMS for further development. The key recommendations from previous engagement mentioned above are proposed to be delivered within a proposed project hereby known as Strengthening the Quality Assurance and Competency Certification Systems through the Application of ASEAN Guiding Principles for Quality Assurance and Recognition of Competency Certification Systems within ASEAN Economies. The main objective of the proposed project is AMS’s national frameworks increasingly aligned with the ASEAN Guiding Principles. The proposed project will help achieved the following: (1) increased awareness of relevant governments and businesses on the adopted Guiding Principles; (2) Three selected countries voluntarily tested out the applicability of the ASEAN Guiding Principles for Quality Assurance and Recognition of Competency Certification Systems into their country system; (3) AMS have improved ability to support the implementation of the Guiding Principles into their country system. The Local Consultant will responsible to conduct desk review and field research to map out the priority sectors and occupations for the application of Guiding Principles in three selected countries, and to assess the current situation of skills development systems, in particular, its curricula, trainers, assessors, and its partnership with the private sector. The field research will comprise of key informant interviews in the three countries and the review will also look at other initiatives such as the ILO ASEAN Triangle. In addition, the consultant also expected to conduct the Monitoring and Evaluation on the implementation of Guiding principles in the selected countries. The International consultant will be supported by local consultant. • First payment: 30% upon signing of contract. • Masters degree in related field (HR Management, Project Management or Public Management) with minimum experience of 5 years professional experience in relevant fields. 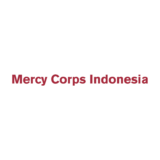 • Extensive working experience in technical level official from labor ministry or other relevant Indonesian Government agency will be an advantage. • Good communication (verbal and written) and strong interpersonal skills and ability to work in a team. • IOM only covers the Consultant against occupational accidents and illnesses under the Compensation Plan (CP), free of charge, for the duration of the assignment. IOM does not provide evacuation or medical insurance for reasons related to non-occupational accidents and illnesses. The Consultant is responsible for his/her own medical insurance for non-occupational accident or illness. b) Detailed Curriculum vitae. Applicants should clearly indicate information on previous relevant experiences, including historical consultancy fee and minimum three referees (preferably former direct supervisors). c) Sample of the publication and or research from previous assignment.